Download "COUNCIL OF ADVISORS OVERVIEW"
1 COUNCIL OF ADVISORS OVERVIEW ROLE OF THE COUNCIL OF ADVISORS The Council of Advisors provides support and guidance to the chapter and its officers and key committee chairmen in order to ensure stability and consistency term-after-term. An effective Council of Advisors supports chapter officers and key committee chairmen in developing leadership skills, creating goals, and executing plans to achieve chapter excellence. Effective members of the Council of Advisors will effectively and regularly communicate with the officers and key committee chairmen, provide mature adult guidance, connect students with appropriate fraternity and university resources, and collaborate with other members of the Council of Advisors to support the long-term success of the chapter. POSITIONS ON THE COUNCIL OF ADVISORS Chapter Advisor* Recruitment Advisor Alumni Relations Advisor Ritual Advisor Faculty Advisor (if required by the university) Financial Advisor* Philanthropy Advisor Scholarship Advisor* Standards Board Advisor *Required under Supreme Law Member Education Advisor FREQUENTLY ASKED QUESTIONS How much time is required of a member of the Council of Advisors? Time commitments will vary based on the number of advisors, the needs of the chapter, and of course your availability. While we ask that our advisors have a frequent presence with the chapter and its members, there is flexibility in how this is carried out based on your availability and the needs of the chapter. Typically, this may range from a few times per month to a few hours per week. In some cases, advising may only need to take place during designated times throughout the year. Do I need to be a member of Pi Kappa Phi in order to be on the Council of Advisors? It is not required that you be a member to hold any position on the Council of Advisors, with the exception of Ritual Advisor. Instead, we hope to find individuals from a variety of backgrounds and experiences to advise the chapter. Can I advise from a distance? With today s technology, it is easier than ever to advise remotely. While we do expect frequency of communication and presence from our advisors, this can be done in the form of phone or video conferencing. Chapter Advisors, however, must live locally. 2 How long is my term of office? Members of the Council of Advisors are appointed by the Chapter Advisor and serve without fixed terms. The Chapter Advisor will collaborate with the National Headquarters staff to provide training and resources to each member of the Council of Advisors, as well as ongoing feedback. The Chapter Advisor will also work with the individual advisor to assess his/her desire to continue in the position. 3 CHAPTER ADVISOR ROLE OF THE CHAPTER ADVISOR achievement, commitment to service, lifelong friendship, and social experiences. The Chapter Advisor partners with officers and key committee chairmen, headquarters staff members, other volunteers, and university staff members to help the chapter make intelligent, fair, and reasonable choices within the boundaries established by state, federal, and local laws, as well as Pi Kappa Phi s standards of conduct and the applicable policies of the university. Chapter Advisors also provide students members with the appropriate amount of challenge and support to make decisions that advance the mission of both the chapter and the national organization. Chapter Advisors are appointed by the National Council in accordance with Supreme Law. Chapter Advisors will proactively work to: Understand the National Fraternity, Chapter, & Institution Review The Gold Book, the Pi Kappa Phi Fraternity Risk Management Policy, and other resources upon appointment. Attend a Chapter Advisor Symposium within one (1) year of appointment. Meet with the fraternity/sorority life advisor at least once per term. Meet with the Leadership Consultant at least once per term. Recruit and train a Scholarship Advisor and Financial Advisor. Sign all initiation cards before submission to the National Headquarters. Participate in ongoing training and education opportunities, including Chapter Advisor Convocation and semesterly Chapter Advisor conference calls. Maintain a Council of Advisors with at least five (5) members. Maintain Core Values & Model Appropriate Behavior Attend the chapter s Pre-Initiation ceremony and Ritual of Initiation (if a member) each term. Support the Pi Kappa Phi Foundation annually. Support The Ability Experience annually. Build Rapport Ensure an advisor is present for at least two (2) Executive Council meetings each month. Ensure an advisor is present for at least two (2) chapter meetings each month. Host meetings (in-person or via conference call) with the Council of Advisors at least once everyother-month to provide relevant updates on the chapter and/or National Fraternity. 4 Participate in the associate member education program. Attend chapter events as appropriate throughout the semester (e.g. Ability Experience events, Founders Day activities, etc.). Ensure an advisor is present at each Executive Council meeting and chapter meeting. Demonstrate Effective Communication & Listening Skills Communicate with the Archon and other officers (as needed) at least once per week. Ensure all members of the Council of Advisors are in communication with the officer or key committee chairman they advise at least once every two weeks. Communicate with the Regional Governor at least once every-other-month regarding the chapter s alumni engagement activities. Demonstrate Coaching Skills & Provide Feedback Ensure the chapter submits all administrative items and fees to the National Headquarters by the stated deadlines, including the IRS 990, chapter budget, and associate member education plan. See the Year in the Life of a Pi Kappa Phi Chapter document for more information. Ensure the chapter submits all Ability Experience fundraising by the stated deadlines. Ensure all associate members complete Part 1 of GreekLifeEdu prior to initiation by working with the Warden to track completion throughout the semester. Ensure the chapter utilizes the Officer Transition Plan available on pikapp.org. Ensure the chapter produces a calendar of events each term. Inspire a Shared Vision Ensure the Executive Council reviews the Leadership Consultant Visit Guide prior to the consultant s visit each term and follow-up appropriately following their visit based on the Consultant Summary Report. Attend the chapter s annual Recruitment Workshop and Strategic Planning Workshop. Assist the chapter in successfully implementing the written strategic plan. Indicates a best practice, not an expectation. 5 ALUMI RELATIONS ADVISOR ROLE OF THE ALUMNI RELATIONS ADVISOR achievement, commitment to service, lifelong friendship, and social experiences. The Alumni Relations Advisor assists in Pi Kappa Phi s endeavor of promoting lifelong brotherhood. This advisor works directly with the chapter Historian and provides alumni with an avenue to get involved with the chapter and stay in touch with chapter activities. Maintain regular communication with the Historian Ensure the Historian keeps the chapter material up to date (i.e. web-site, newsletter, scrapbook, local history and documented events). Keep track of alumni news and current happenings (i.e. weddings, births, job changes, promotions, people moving, success stories). Provide alumni with an avenue to get involved with the chapter or its activities. Ensures that the chapter produces at least one (1) newsletter (e.g. parent, alumni, etc.) this academic year Ensure that the chapter maintains at least one (1) social media account (e.g. Facebook, Twitter, Instagram, etc.) Ensures that the chapter is performing the Graduating Senior Ritual outlined in The Gold Book Ensure that at least two alumni newsletters are sent each year to all chapter alumni and the director of alumni services at headquarters. If the chapter is participating in the newsletter program offered by the National Headquarters, they serve as the chapter liaison. Encourage the chapter to host at least one (1) additional event or program specifically for graduating seniors Encourage the chapter to sponsor at least one alumni event per term. Works with the chapter webmaster to have a website that is up-to-date, informative, and appropriate. Serve as the primary contact person for chapter alumni and/or representative of the alumni chapter and housing corporation to contact when they have a change of any news or major current happening (i.e. baby, wedding, promotion, etc.). 6 Educates the chapter on how to effectively communicate with chapter alumni about what is important to them. Educates the undergraduate members on the benefits involved with life-long brotherhood in Pi Kappa Phi Fraternity. Serves as the liaison between the chapter and the alumni chapter/housing corporation, if one exists. 7 FACULTY ADVISOR ROLE OF THE FACULTY ADVISOR achievement, commitment to service, lifelong friendship, and social experiences. The Faculty Advisor must be a faculty or staff member at the college/university. The Faculty Advisor must understand the importance of academics, campus involvement and cultivating a diverse chapter. The Faculty Advisor serves as a liaison between the institution and the local chapter, promoting scholastic excellence and supporting the educational growth of the chapter. Serve as a liaison to the university and identify the programs and resources offered by the university that can assist the chapter. Assist the chapter in managing and fulfilling requirements and regulations set forth by the university. As needed, the Faculty Advisor may also work with the chapter to assist in the development and implementation of the chapter s scholarship program. In these cases, they should work closely with the chapter s Scholarship Advisor. Assist the chapter in communicating with the university through the proper channels and understanding university requirements. 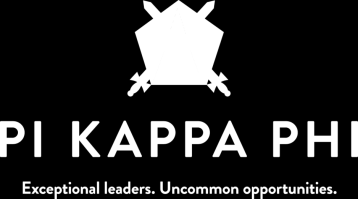 Ensures the chapter meets the University s minimum expectations for campus involvement (if applicable) Assist the chapter in planning and hosting at least one (1) presentation and/or workshop focused on member development during the academic year Openly support and promote the success of Pi Kappa Phi fraternity on campus. Review individual member scholastic achievement, and offer support agencies and services through the University/College. Educate the chapter on campus wide scholastic programs and academic resources. Guide members in career decisions and identify different agencies, services, contacts, etc., on campus that will promote self-awareness and career discovery. Assist chapter members in becoming involved on campus and help to promote a healthy level of campus involvement within the chapter. Represent the Pi Kappa Phi chapter when appropriate during any College/University setting. 8 Attend at least two chapter events each semester. Be available to meet with brothers individually when necessary. 9 FINANCIAL ADVISOR ROLE OF THE FINANCIAL ADVISOR achievement, commitment to service, lifelong friendship, and social experiences. The Financial Advisor provides guidance to the undergraduate chapter in order to develop a consistent bookkeeping system and remain current on financial obligations. This advisor ensures that the chapter is operating on a sound financial basis and saving for the future. Meet with the Treasurer a minimum of twice a semester to review the budget and expenditures of the chapter (once a month, preferred). Ensure that the chapter has a sound budget and accounting practices, aligned with recommended best practice templates used by Pi Kappa Phi. Have a working understanding of a regular update on OmegaFi or whatever bookkeeping system is used by the Chapter and role it plays in the advised Chapter. The Financial Advisor should be listed as an administrator on chapter accounts, including OmegaFi. Review the financial statements provided by OmegaFi or other bookkeeping system and be familiar with the chapter financial status as found within. Ensure the budget is approved by the chapter each term/year prior to the start of the next term/year in which the budget takes effect. Ensure the chapter has a current budget (semester or annual) on file with the National Headquarters Make sure that the chapter operates without a financial loss Ensure that the chapter completes and submits a Form 990 to the Internal Revenue Service and that it is submitted to the National Headquarters. Attend the chapter meeting in which the budget is voted on by the chapter. Consistently review all expenditures of the chapter to assure that priorities are maintained and that the chapter is operating in sound financial condition. The Advisor should regularly provide feedback on ways to be more efficient with expenditures. Accounts receivables should be reviewed monthly. Where it is evident that the chapter is unable to control their accounts receivable, the Financial Advisor will exert whatever means are necessary to correct such problems, upon approval from the National Headquarters. 10 Ensure that the chapter is placing a certain amount of money into some type of investment strategy each semester (a savings account is recommended). Make certain that an annual audit is conducted of the chapter s financial records. Support the collection of insurance, initiation fees, pre-initiation fees and student dues, and make sure they are sent into the National Headquarters on time. Make certain the chapter is current in its IFC and student organization dues as well as with any other businesses or organizations. Confirm the chapter is utilizing the financial expulsion process (30/60/90), as required by Supreme Law. Understand this process in detail to advise the chapter on when this process takes place in a timely manner. Provide guidance on keeping chapter operations fundraising initiatives separate from The Ability Experience efforts, to ensure that funds are collected and accounted for properly. Ensure that the chapter maintains chapter banking accounts separately between the physical house fund, chapter fund, The Ability Experience fund, and other savings accounts. 11 MEMBER EDUCATION ADVISOR ROLE OF THE MEMBER EDUCATION ADVISOR achievement, commitment to service, lifelong friendship, and social experiences. The Member Education Advisor understands the importance of leading the chapter by example and developing a positive environment for the associate members and initiated members. This advisor works directly with the Warden and Chaplain, advises the New Member Education Committee, and supports the chapter s associate member education and ongoing member development program. The Member Education Advisor ensures that the New Member Education Committee is providing associate members with valuable learning opportunities that focus on the core values of Pi Kappa Phi, leadership development, and self-awareness. Help establish and advise the New Member Education Committee made up of at least the Warden, Chaplain, and two initiated members. Assist the chapter with integrating their local history with the resources provided by the National Headquarters. Meet at least two (2) times per semester with the associate member class to support their learning process by facilitating discussion, answering questions, and serving as a resource. Actively track the retention rate of associate members for the chapter. Ensure the chapter has both written member development and associate member education programs; both programs should be submitted to the National Headquarters annually. Ensure the associate member education program (from pre-initiation to final exam) is no longer than 12 calendar weeks. Ensure the chapter conducts at least one (1) subordinate ritual for associate members each term. Assist the chapter with planning at least one (1) presentation and/or workshop focused on member development during the academic year. Encourage the chapter to write an associate member education program that is 6-8 weeks in length. Encourage the chapter to incorporate at least five (5) subordinate rituals in their associate member education program. 12 Assist in the recruitment of chapter alumni and student affairs professionals to participate actively and positively in the member development and associate member education processes. Assess the progress of the associate member class and offer feedback to the New Member Education Committee at least twice each term. If possible, meet with Headquarters staff during previously scheduled visits. 13 PHILANTHROPY ADVISOR ROLE OF THE PHILANTHROPY ADVISOR achievement, commitment to service, lifelong friendship, and social experiences. The Philanthropy Advisor works directly with the Philanthropy Chairman to plan and execute disability awareness, fundraising, and volunteerism events. The Philanthropy Advisor works closely with The Ability Experience s Director of Chapter Services. Ensure the chapter hosts at least one (1) awareness event each academic year. Ensure the chapter hosts at least one (1) revenue generating event for The Ability Experience annually. Ensure the chapter maintains an average of at least one (1) volunteer hour per member each term. Serve as a resource for the Philanthropy Chairman and the Philanthropy Committee. Ensure the Philanthropy and/or The Ability Experience Chairman reported on Chapter Gateway. Ensure all The Ability Experience fundraising is submitted by the stated deadlines. Ensure that the chapter is fundraising annually for The Ability Experience Assist in the establishment of a The Ability Experience checking account. Communicate about The Ability Experience national events to the undergraduate members and encourage their attendance. Assist the chapter in establishing a volunteer relationship with a local organization for people with disabilities. Promote The Ability Experience in the local community. Encourage participation in The Ability Experience national programming: Build America, Gear Up Florida, Journey of Hope, Ability Weekends and Ability Camp. 14 RECRUITMENT ADVISOR ROLE OF THE RECRUITMENT ADVISOR achievement, commitment to service, lifelong friendship, and social experiences. The Recruitment Advisor works closely with the Vice Archon to design a plan for the continuous recruitment of new members. Meet with the Vice Archon at least twice per term. Assist the Vice Archon with designing a recruitment program for both formal and informal recruitment. Assist the Vice Archon in ensuring the chapter is within 10% of the established growth goal each term. Ensure that the chapter submits a written recruitment program to the National Headquarters each term. Ensure the chapter hosts at least one (1) Recruitment Workshop annually. Provide feedback on the chapter s recruitment program to support ongoing chapter growth. Ensure the chapter is familiar with both Fraternity and university/ifc recruitment policies. Ensure all recruitment events and activities are alcohol-free. Ensure the chapter is only recruiting men who meet the minimum 2.50 (high school and/or college) GPA requirement. Ensure the chapter complies with the requirements for legacy recruitment outlined in Supreme Law I, Section 4. Ensure the chapter reports all newly pre-initiated associate members on Chapter Gateway and submits the appropriate fees within three (3) days of the ceremony. Attend at least one (1) recruitment event per term. Assist the Vice Archon in facilitating the Recruitment Workshop each term. Works with Chapter Advisor and Member Education Advisor on strategies for retaining associate members. 15 RITUAL ADVISOR ROLE OF THE RITUAL ADVISOR achievement, commitment to service, lifelong friendship, and social experiences. The Ritual Advisor supports the Chaplain by ensuring the values and lessons taught in Pi Kappa Phi s Ritual of Initiation are exemplified in the everyday actions of chapter members. The Ritual Advisors must be an initiated member of the Fraternity. If the Council of Advisors has both a Ritual Advisor and a Member Education Advisor, the two shall work together to support the execution of the chapter s subordinate rituals. Attend Pre-Initiation and the Ritual of Initiation each term. Assist the Chaplain with the planning and execution of the Ritual of Initiation and debrief. Ensure the chapter s Ritual paraphernalia and equipment are stored and maintained appropriately. Ensure all subordinate rituals support the lesson taught in the Ritual of Initiation. Ensure the chapter adheres to the Fraternity s policy on alcohol-free associate member activities. Ensure the chapter adheres to the Fraternity s anti-hazing policy. Ensure the chapter conducts at least one (1) subordinate ritual for associate members each term. Assist the chapter in obtaining a church, Masonic temple, or other appropriate location to perform the Ritual of Initiation or subordinate rituals on an ongoing basis. Assist the chapter in the identification and recruitment of alumni initiates. Assist the chapter with the performance of the Graduating Senior Ritual each term. Attend Certified Ritualist Training. 16 SCHOLARSHIP ADVISOR ROLE OF THE SCHOLARSHIP ADVISOR achievement, commitment to service, lifelong friendship, and social experiences. The Scholarship Advisor promotes the development of a comprehensive scholarship program in order to improve the academic success of the chapter. The Scholarship Advisor works directly with the Scholarship Chairman and Committee. Assist the Scholarship Chairman with the creation of a written scholarship program, including the design of awards and incentives to encourage scholastic achievement. Work with chapter members who have fallen below or are at risk of falling below the minimum academic expectations to create individual academic improvement plans. Review individual member scholastic achievement and connect students with available campus resources. Ensure that the chapter maintains a term and cumulative chapter GPA of Guide members in career decisions and identify appropriate campus resources. Assist the chapter leadership in promoting and upholding grade requirements. Educate and promote membership in the Order of the Lamp. 17 STANDARDS BOARD ADVISOR ROLE OF THE STANDARDS BOARD ADVISOR achievement, commitment to service, lifelong friendship, and social experiences. The Standards Board Advisor supports the chapter s Standards Board in the proactive education of all members on the standards of the Fraternity, the implementation of Pi Kappa Phi s conduct process, and the development of educational sanctions intended to prevent future violations. Ensure the chapter has a written Code of Conduct. Assist the Standards Board Chairman with the proactive education of all members on the chapter Code of Conduct. Ensure the Standards Board adheres to the conduct process outlined in Supreme Law VIII and the chapter bylaws. Ensure the timely investigation and adjudication of all individual conduct cases. Assist with the training of the chapter Standards Board each time new members join the Board. Assist the Standards Board with monitoring members compliance with assigned sanctions. Ensure the Standards Board maintains appropriate documentation of each conduct case, including minutes from the Standards Board meeting and a copy of the decision letter. Ensure the chapter submits the required documentation to the National Headquarters following the suspension or expulsion of any member. Attend all chapter Standards Board meetings. Job Description. - Fulfill the duties of the President in the event of the absence or disability of both the President and the First Vice-President. PEMBROKE PINES CHARTER HIGH SCHOOL NHS HANDBOOK 2012-2013 1 Special Note: This handbook is designed to help new and current NHS members. Meetings, rules, activities, service hours, etc. are explained thereof. Please review carefully. Submission guidelines have changed. IMA Student Chapter Award of Excellence Outstanding Student Chapter Outstanding Strategic Plan Outstanding Communications Outstanding Programs and Activities 2014-2015 Program Please review carefully. Regulation of Florida A&M University Student Activities. AIA DC EAC EXECUTIVE COMMITTEE POSITION DESCRIPTIONS Appointment to the AIA DC EAC Executive Committee is a three year commitment that follows the sequential path of Vice-Chair, Chair, and Past Chair. WEST LOS ANGELES COLLEGE ASSOCIATED STUDENT ORGANIZATION BY-LAWS Article I: General Duties a. Uphold the Constitution and By Laws of the ASO. b. Carry out the duties as assigned by the ASO President. c.
BYLAWS ZETA CHAPTER OF EPSILON SIGMA PHI THE NATIONAL HONORARY EXTENSION FRATERNITY, INC.